Star Trek Timelines developer Disruptor Beam has unveiled its new Disruptor Engine for mobile game live ops that will be made available to third-party studios. The platform includes features covering identity, social, analytics, commerce and live operations. The company said the aim is to “enable efficient development and monetisation” for mobile developers. 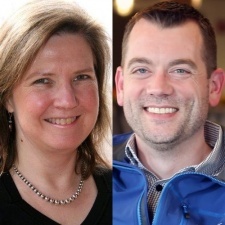 Coinciding with the announcement, Disruptor Beam has also hired MeYou Health CEO Trapper Markelz as chief product officer and ex-LLV Capital partner Claire Wadlington as its first chief financial officer. They’ve been tasked with growing the company’s business which includes the release of several new titles and the launch of the Disruptor Engine. Neither a launch date for the platform nor pricing details have been disclosed at this time. “Over the past several years Disruptor Beam has made substantial investments in our game platform, which has led to dramatic improvements in our time-to-market and ability to operate games profitably,” said Disruptor Beam CEO Jon Radoff. “We are now ready to start turning those investments into solutions for others looking for an advantage in launching and operating mobile games. Disruptor Beam has worked on games such as Star Trek Timelines, Game of Thrones Ascent and The Walking Dead: March to War. The company has partnered heavily with Tilting Point in the past, which handles the marketing, sales and distribution of Star Trek Timelines and has invested $29 million into user acquisition. Discover how to scale your mobile game and keep it going for years on the Growth and Live Ops LandScape tracks at Pocket Gamer Connects Seattle on May 13th to 14th.